Aperture. The basic tutorial for a beginner photographer. This article is about the second pillar : aperture. You can play with simulators. This is very useful. You can try different lenses. This is more complicated simulator. It takes into account not only focal length but also the distance to the object. First, this is the device itself in the lens which controls the hole. Second, this is the size of the hole. For instance, if we say “open aperture”, “close aperture”, we are talking about the size of the hole. This scale is based on the increase or decrease of illumination matrix twice. 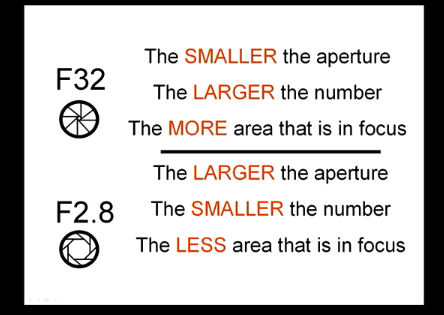 Like with shutter speed, a beginner might be confused with the fractions: aperture value 5.6 is bigger than aperture value 8. 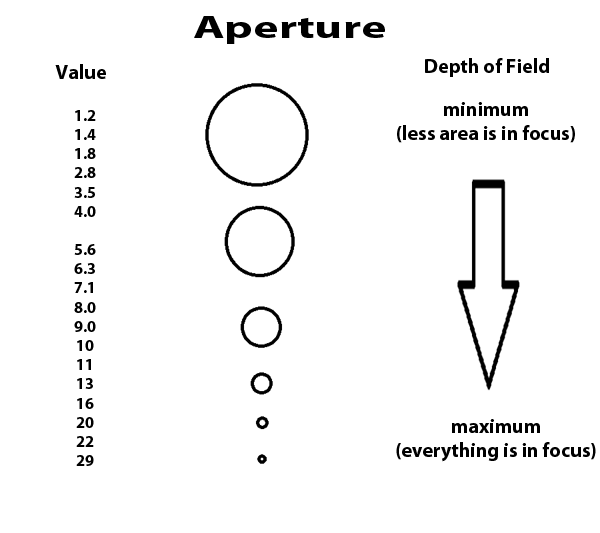 The main effect of aperture value is similar to the shutter speed – the brightness of the image. The bigger the hole, the brighter image you get. But the side effect is different, when you change aperture you also change depth of field. Depth of field (DOF) is the distance between the nearest and farthest objects in a scene that appear acceptably sharp in an image. Let’s look at the three examples I prepared to illustrate these effects. Example 1. 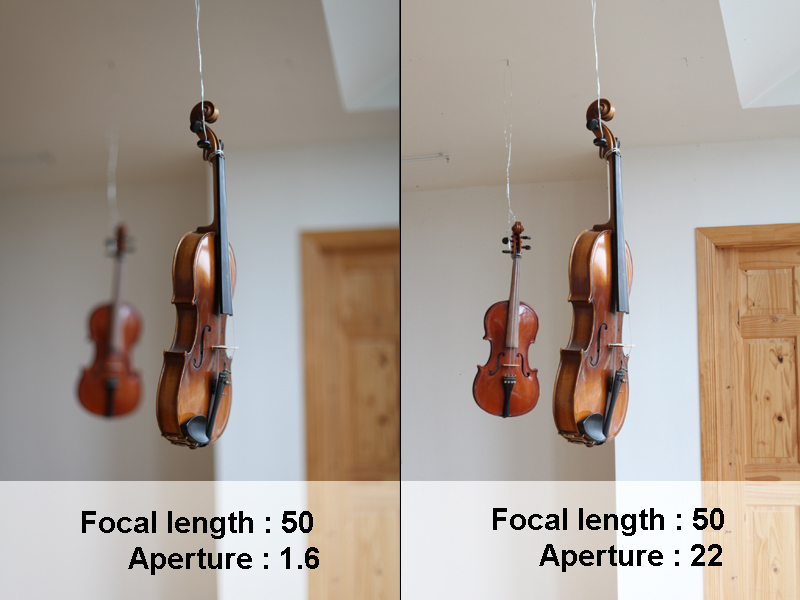 With open aperture (f1.6) you decrease DOF and get the ability to focus on every violin separately. Example 2. 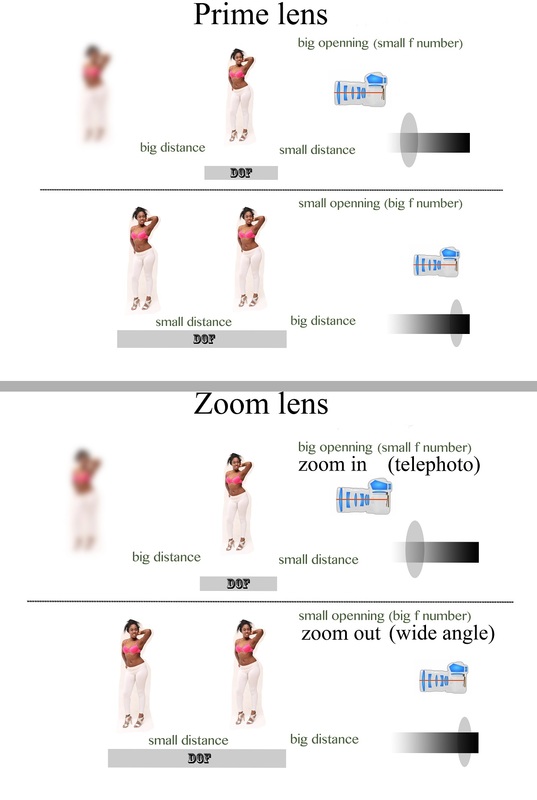 If you close the aperture(right image) your DOF is almost infinity. 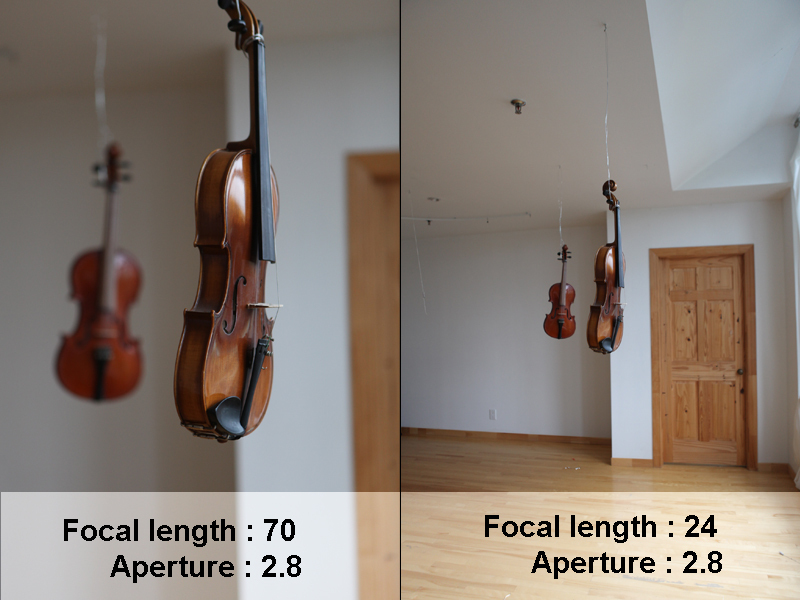 In this case both violins are in focus. Example 3. 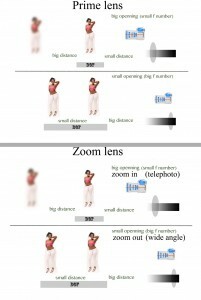 You have to remember that all the above is true only when focal length is big enough. 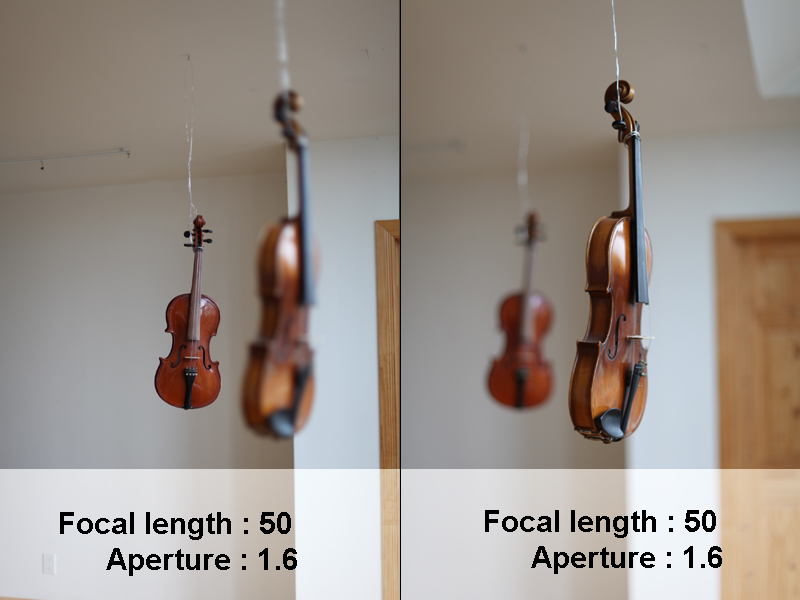 On the right image, when I decreased the focal length, even with the open aperture (f2.8), DOF remains big and both violins stay always in focus. Clever using of depth of field is a very powerful tool for a beginner photographer. You are getting the ability to focus user attention on the main subject. One of the most used application is using Depth of Field control for portrait photography. A photographer would use this technique to underline the face of the model by limiting DOF away from confusing background.